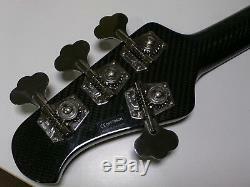 Status Musicman Stingray/Cutlass 1&2 replacement neck, made in England. Fitted with Musicman USA tuners and string guide. Drilled for 3 bolt pre-Ernie Bass Stingray basses. Neck has a wooden insert at that end so it would be easy to glue/plug the holes and re-drill for 4 bolt or 6 bolt Stingray bodies. 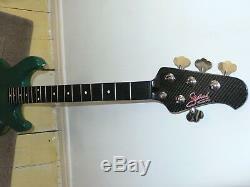 This neck will fit straight on a 1980 Stingray body that I have listed here, please check my other listings. 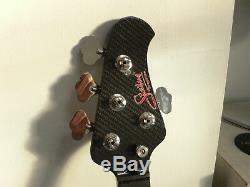 Neck was built in late 2017, tuners were ordered new then. 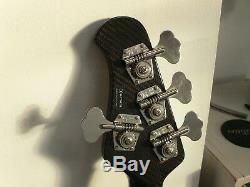 Condition is very good except for one chip to the lacquer when I was installing one of the tuner ferrules when new. It's harder to see when strings are installed. The neck only has about 8 hours total playing on it from new. The item "Musicman Stingray/Cutlass Status graphite bass guitar neck+Musicman USA tuners" is in sale since Sunday, January 27, 2019. 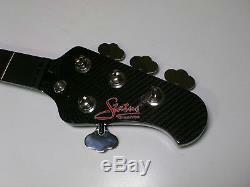 This item is in the category "Musical Instruments\Guitars & Basses\Bass Guitars". 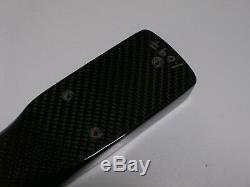 The seller is "xq2427g" and is located in London.